In almost forty years of broadcasting and writing, I’ve spent a lot of time tracking the fates of the Republican and Democrat parties. In recent years, the main conservative thirsts have been for a more muscular and unapologetic conservatism and for the bright light of truth to be directed onto the darkest habits of modern leftists. The election of Donald Trump has propelled us down a road featuring satisfying helpings of both. But on one stunning day, September 27, 2018, there arose Republican resolve like nothing in recent memory. The accompanying reputational suicide of several key Democrats tied a bow around a historic day for clarity. The occasion was the totally unnecessary session of testimony by Supreme Court nominee Brett Kavanaugh and his main accuser of sexual misbehavior, Dr. Christine Blasey Ford. The occasion was needless because Dr. Ford’s story in no way rises to the level of credibility to dislodge the nomination. No decent society smears people for life based on high school misbehavior, so even if the wholly unsupported story were true, there would have been a strong argument against its relevancy today. Nonetheless, there we were, a nation bathed in the glow of TV screens for a day that began with Dr. Ford’s compelling testimony. But the poised delivery of her story in no way increased its credibility. Only evidence can do that, and none arose to bolster her claim of a sexual assault at Kavanaugh’s hands. For Kavanaugh’s part, he sat down with a bolder countenance than we saw on his understated Fox News interview. 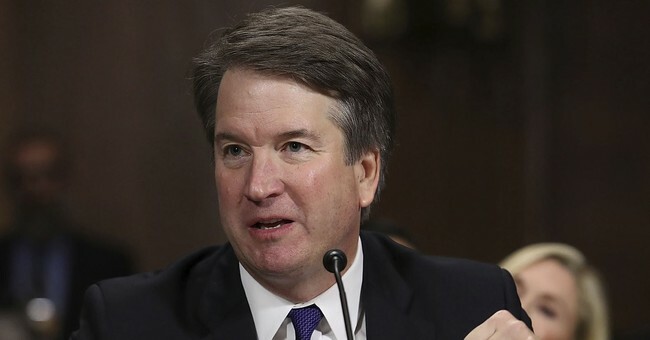 Flashing irritation reminiscent of Clarence Thomas’s 1991 excoriation of the Senate Judiciary Committee, he delivered an opening statement that doubled down on his already established denials, expanding to include special disfavor for the discredited tales woven by a New Yorker article and showboat attorney Michael Avenatti. The questioning of Dr. Ford became unsettling for Kavanaugh supporters, as the seemingly wise decision to outsource questions to a female attorney seemed to sputter. This was not Rachel Mitchell’s fault; she was merely occupying what would have been the normal rotation of Republican senators, whose maleness was a disqualifier in an era where gender means more than truth. As such, the rhythm became: five minutes of Ms. Mitchell poking through questions of fact and memory, interrupted by five minutes of Democrat grandstanding. Then five more minutes of Ms. Mitchell seeming to inch closer to a salient point, only to be buzzered by the need to recognize the next round of Democrat fawning and prattling. At intermission, some conservative shoulders slumped. Democrats took full advantage of their spotlight moments, while the Republicans landed hardly a glove on a narrative they had spent a week doubting. But it was important to remember: the audience for Dr. Ford’s questioning was ostensibly not the nation at large or even the GOP base, but rather the handful of Senators who will ultimately hold Kavanaugh’s fate. Maybe the understated pinpricks Mitchell had placed in the story would be enough, without carrying the downside of coming down too heavily on a sympathetic witness. But as soon as Judge Kavanaugh completed his opening statement, it became clear what the afternoon matinee would contain: Republicans showing more spine than they have in years, accompanied by Democrats making total asses of themselves. This is what Kavanaugh’s riveting certitude did to both sides. It energized Republicans to solidly back the judge, and additionally inspired them to call out committee Democrats for the shameful scam they have deployed to poison the nomination process. There had been a question at daybreak as to whether Dr. Ford would cry— she came close—but little speculation that Judge Kavanaugh would well up. But when he did, in describing his teenage calendar habit as an inspiration from his father, it cleared the decks for other halting moments, as when he shared what his family has been through at the hands of his tormentors. When their time came to badger Judge Kavanaugh, the Democrat decisions to obsess about a useless FBI probe or leer over arcane references in his high school yearbook made them look microscopically small. And when the rotation turned to Orrin Hatch, John Cornyn and the consummately inspired Lindsey Graham, the tide had turned completely. America went to lunch wondering about Kavanaugh’s fate but had to wonder if he might be confirmed by dinner. The weekend will dictate the path toward Judge Kavanaugh’s fate. Any Republicans still wondering about his worthiness need to have their heads examined. There may even be Democrats up for re-election in Trump states rethinking the “no” votes that seemed defensible just days ago. No matter how the judge’s fate unfolds, history will well remember Lindsey Graham’s fiery rebuke of Democrats for the behavior they have displayed for decades. Is this a long overdue reckoning that will change their behavior? That seems unlikely as the midterms approach and 2020 looms. But if Cory Booker and Kamala Harris think they boosted their stock for the presidency, they may soon learn otherwise. Compactly contained within one day witnessed by millions, we saw Democrat behavior so unhinged and repulsive that Republicans finally came out of their shells and called them on it. It was glorious. The confirmation of Kavanaugh is now a moral necessity—so that a good man’s reputation can be restored, rules of basic decency upheld, and viciously craven political tactics dealt the death blow they deserve.